It was a rare privilege for my dad to get to visit Soviet bloc countries in 1968, when relations between the U.S.-Soviet relations were chilly. He toured around all over Europe with a group of professors on a trip called "Journey for Perspective" and bought these along the way. 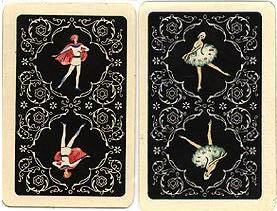 This is a deck of 36 cards. 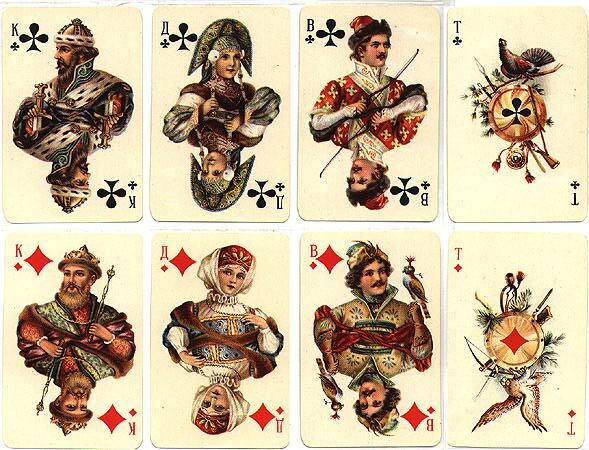 The numbered cards go from six to ten. 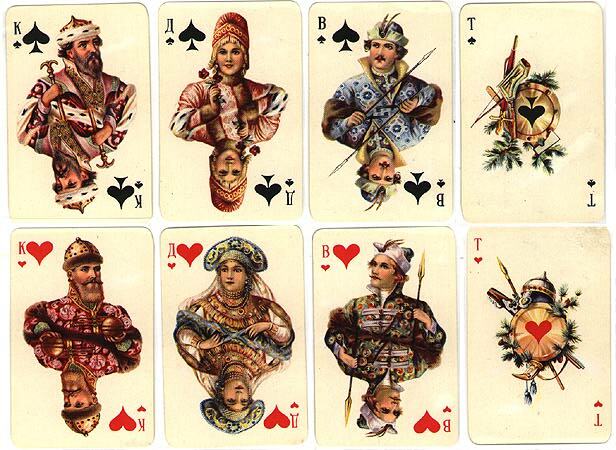 The six of spades is the only card that has the back pictured on the left: Soviet quality at its finest. The box says it was produced by Offset Factory #3 in Leningrad of the Central Printing Enterprise.